Which candidate's campaign events need the most security? The airport isn't the only place you'll see TSA officers checking bags and doing pat downs. The Secret Service has been enlisting the help of TSA screeners to provide additional security at political events this campaign season. In the last few months, the TSA has received more requests for screeners at events for Donald Trump than any other candidate. But Trump also had more events than any other candidate. The TSA has provided screeners at 104 Trump events as of March 30. Secret Service has requested a total of 953 TSA officers in that time -- a little more than 9 officers per event. For 64 Bernie Sanders events, 640 TSA officers were requested, an average of 10 requests per event. For Hilary Clinton's 47 events, 248 officers were requested, an average of 5.3. Related: Could this solve the TSA's airport security line problems? Secret Service has tapped TSA in the past to help out at political-related events. The TSA and the Secret Service, which both fall under the Department of Homeland Security, have an agreement that allows TSA workers to provide screening assistance during presidential campaigns. Transportation Security Officers are trained to screen and search bags, passengers and cargo and provide surveillance at terminal entrances and exits. The officers provide the same role at campaign events: screening attendees and their possessions. Screeners work campaign events on their own time, according to the TSA, which means they are not being taken off their airport duties to assist the Secret Service. The officers are paid their normal rate by the Secret Service. Salaries for full-time screeners range from $25,000-$30,000 a year, according to the TSA. And job listings for part-time screeners show the hourly rate ranges from around $15-$25 an hour. 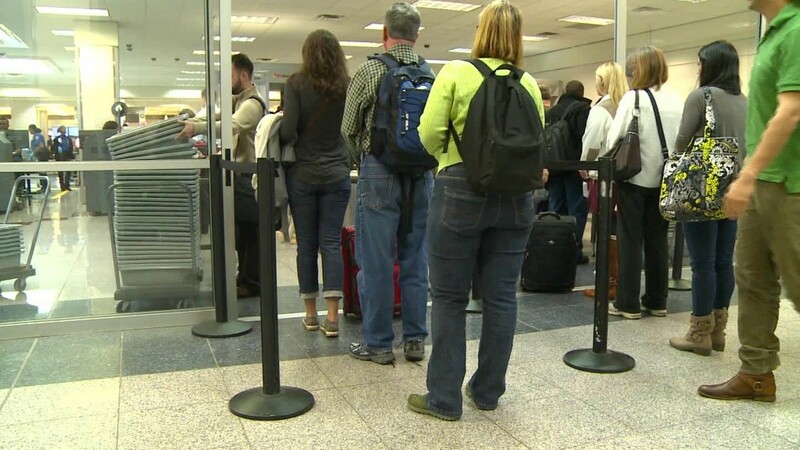 The TSA is in the process of hiring 768 screeners to help combat the long security lines that have popped up across the country. TSA job candidates must go through a three-week training program and are required to pass a test before they are allowed to start providing security screening.